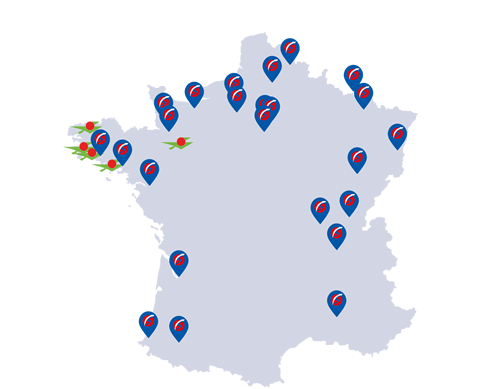 Malherbe has around thirty agencies distributed throughout France, each of which shares the same values, practices and fundamental procedures of the group. This regional proximity enables our clients to be able to benefit from personalised attention and advice from our staff, all of whom are available and ready to listen to every request. Evaluation of your needs, limitations and any risks. Awareness of and pertinent advice relating to your projects. Technical and operational management of your transportation operations. Monitoring of your development from a technical, environmental & legislative standpoint. Malherbe has at your disposition more than 2 800 vehicles, of which 990 belong to its own fleet, including various types of trailers, such as Taut liners, refrigerated trailers, flat beds (with or without fixed crane), grain dumpers, public works dumpers & sliding-floor dumpers, as well as food transport tankers, gas tankers, chassis, etc. of which 990 belong to its own fleet. Always open to new technologies and technical innovations, all of the group’s vehicles have been equipped with the latest high performance systems in order to be able to monitor, in real time, each vehicle’s fuel consumption, the drivers’ behaviour, the delivery of the goods, the itineraries, etc. More specifically, Malherbe has become the European leader in live distance tracking of temperature control, particularly where it concerns the transport of temperature-controlled goods. Our internal fleet is complemented by a managed network of external sub-contractors, bond by our Premium Contract, assuring you of the continued respect of both Malherbe’s quality service and values and also meeting your own quality standards. This also guarantees regular capacity requirements and our reactivity in the management of your flows and the global management of your transportation operations. 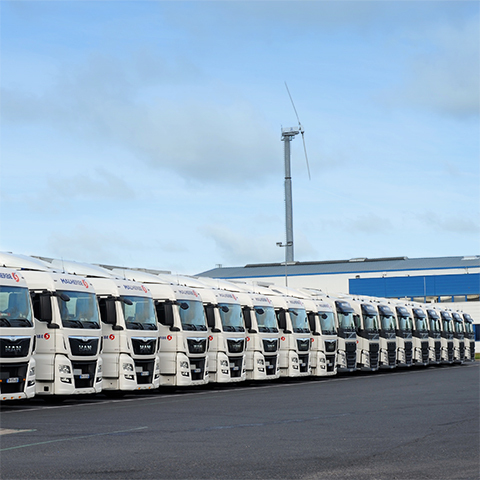 Amongst our fleet of articulated vehicles, over 90% of our motors meet the European environmental standards Euro 5 (15 %), Euro 5 EEV (36 %) and Euro 6 (41 %), presently the three strictest European regulations governing pollution and emissions applying to new vehicles. The Malherbe group is also planning to integrate gas-powered “green” vehicles into its fleet. By regularly maintaining its fleet of vehicles, the Malherbe Group confirms, a little more each year, its commitment to sustainable development, and particularly where it concerns the environment.